I have a Google search set up on my iGoogle page that hunts down the latest news regarding rheumatoid arthritis. Today, the headline for one of the articles reads “Pilot Study for Rheumatoid Arthritis, Fibromyalgia to Begin.” Naturally, I clicked on the article, curious about the study. Turns out it’s about a substance called CMO, and the article starts out with a testimonial from a woman who suffers from fibromyalgia. Note that Vicky doesn’t say that she’s actually taken Liquid CMO, though the quote certainly inplies that she has. It also implies that the product has relieved her fibromyalgia symptoms. The link takes you to a website which sells the product Liquid CMO. 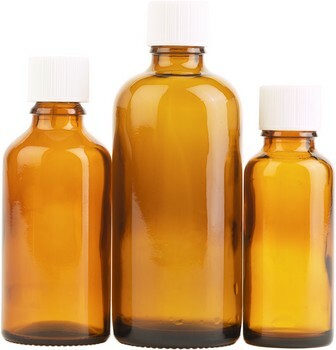 One bottle (the size of the bottle isn’t specified) costs $92 for a 16-day supply. Once I caught my breath, I did a little more research on this wondrous stuff. “CMO” is short for cetyl myristoleate, which, according to a Wikipedia article (clearly written by someone who wants to make it appear legitimately effective) is the cetyl ester of myristoleic acid, a naturally occurring, animal-based fatty acid. Further searching revealed that CMO is supposed to work by “lubricating” the joints, and can be taken orally or rubbed into the skin over the affected joint as a cream. A quick Google search for cetyl myristoleate brings up hundreds of websites pitching supplements containing CMO for relief of osteoarthritis, lupus, multiple sclerosis, gout, psoriasis, leukemia, emphysema and fibromyalgia. Rheumatoid arthritis hasn’t quite made the list, I guess, except for the Liquid CMO company’s list. And, while its use in osteoarthritis been shown to be moderately effective, the studies have been quite small. Results of studies regarding CMO’s effectiveness in relieving the rest of the list of ailments are inconclusive. I don’t have anything against taking natural or herbal supplements for RA or any other disease. Shoot, on my PCP’s advice, I took grape seed extract for a couple of years to relieve the hot flashes I experienced as a result of menopause. Did it work? I don’t know, because at the same time, I also cut back, drastically, the amount of caffeine I was drinking each day. She felt that caffeine could have been making them worse. My hot flashes did become less in number and intensity after a few weeks of taking the grape seed extract and drinking a lot less coffee and tea, and they remain that way today, even though I no longer take the grape seed extract. I’ve kept my consumption of caffeine to a minimum, though. For the record, I took glucosamine and chondroitin for nearly a year, hoping to relieve RA pain and inflammation. They had no effect. Same for copper bracelets. I’ve also tried various creams and rubs with capsaicin in them. They caused my skin to feel as if it was burning, which (ow, ow, ow!) certainly distracted me from my joint pain, but they did not relieve it. I hated the burning sensation and decided they’re not for me. My feeling is that if you want to take a natural supplement for your RA, do it, as long as you’re careful and do a little research first. Not all supplements are without side effects, some of which can be serious. Only one of the websites I found had any warning about CMO side effects: those wishing to take it should discuss it with their doctors; pregnant and nursing women should avoid it; and that people with liver problems should also avoid it. Hmmm. I was able to find only a couple of CMO websites that weren’t obviously run by companies or individuals mainly interested in selling it and other natural supplements; you can see one of them here, and another, here. My conclusion is that the “news” article that came up in my Google search is actually a press release from the Liquid CMO company, tarted up to look like hard news about a rheumatoid arthritis and fibromyalgia cure, and released in order to sell the product to people who are desperate for relief from pain and disability. The other thing that stands out is the fact that the article encourages people to buy and take Liquid CMO, even though the “study” is intended to discover which dosages of the substance are effective — and it hasn’t been done yet. My BS radar is pinging like mad. I don’t know if this is a scam. Maybe it’s not. Maybe some people – with osteoarthritis – do experience some relief when they take CMO, in any of its numerous forms under many different brands and prices (other brands and forms are sold on Amazon for far less than $92.). But it’s also obviously not a cure for rheuma or fibromyalgia. 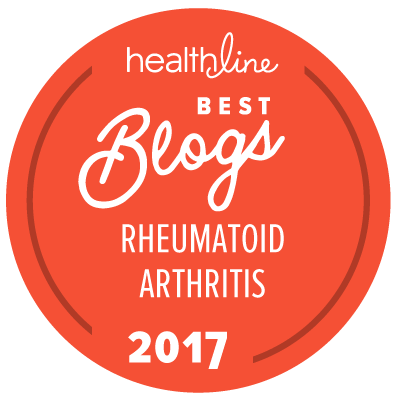 If it is, why aren’t we all taking it, courtesy of our rheumatologists? The product website claims that Big Pharma wouldn’t buy the stuff and develop it because it’s an unpatentable natural substance – they wouldn’t be able to make any money off it. But these other, private natural supplement companies sure can – and do — make money off it. I guess we just have to be careful before we open our wallets. I don’t think any of these types of product are cures. Have you heard of Celedrin? It is a similar “natural libricant” for joints. Some natural supplements do offer some relief but they are no miracle cure. I tried Celedrin and saw no result. The only thing I got was a whole lot of heartburn. Hi, First, thanks for visiting my blog. I always appreciate comments. Not sure I will keep either blog going. You post here is very well written and thought out. I,for one, detest all the “cure all” things. As with everything else in life everyone has different opinions. My husband takes glucosamine and chondroitin for his bad back, a ruptured disc. Ooh, I am hard pressed for words to explain the depth of my loathing for companies that put together these campaigns for products that are spectacularly unproven. Every time I read about this product or that protocol, things that take not only the money but more importantly the health and dignity of people with little proof that the snake oil they’re hocking works, I find myself sputtering with fury. It is one thing to sell an unproven product and be honest about it. I mean hell, you can say that whatever herb has been used since ancient times blah blah blah…without lying about ‘proven benefits’ or anything like that. I often think that the FDA and other regulatory bodies should regulate the claims of herb and ‘compound’ sellers far more tightly than they do. While I have very mixed feelings about pharmaceutical companies coming from a research background, any advertisement telling you that you need to take this now to help with this or look this could help you so talk to your doctor about it really bothers me. It leads people to buy things they don’t need or pressure their doctor into things that may not be the best. And worse yet, many natural products, even if they are doing what they claim to be, can interact and react with over the counter or prescription drugs, a very dangerous thing when people do not tell their doctors what they are taking. I am so glad to see that you do your research on the product advertised. I whole heartedly believe that everyone should take their health into their own hands and its nice to see that you have managed that in a very good way. These sorts of “cures” make my blood boil. It’s nothing more than people making money from the suffering of others, and, unfortunately, it’s not uncommon. Thanks for looking into this one for us! Enjoyng your blogspot from Victoria Australia. I am a 47 years old women with juvenile onset RA. At home on extended leave after a cervical fusion (RA related) and now upcoming total knee replacement. Could certainly agree with this section and am always totally amazed how when you tell people you have RA, they seem compelled to give advice or tell you of the latest natural “cure”. I have taken CMO for arthritis back in 1999, and it put me in remission for 1 1/2 years. I was incapacitated for the first 6 months after being diagnosed, and then after 2 courses of CMO (over a 2 month period of time) the pain and swelling went away. CMO does work. I was able to do the “Body for Life” program with my husband, running on the treadmill and going to the gym where we would lift weights. I lost 2 dress sizes. During that 1 1/2 years, I was pain free, and you never would have even thought I was ill. After 1 1/2 years, I went through a very stressful time and the arthritis came back. I should have taken another bottle of the CMO at the time, but somehow that wasn’t in my frame of mind at that time… I went to the doctor and they put me on Prednisone. CMO works. 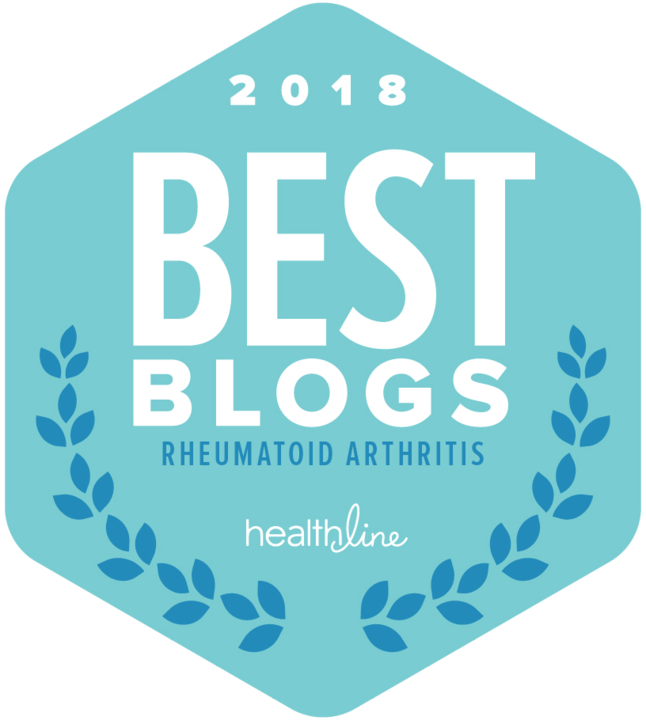 At the time that I took it, it was just being introduced into the market for sale, and not much was known abuot the difference between when results come for osteo vs. rheumatoid arthritis. It was found that for RA, it can take up to two months for all pain/swelling to go away, whereas for osteo, it could be within the next week or two. Also, it wasn’t suggested until much, much later that people with really bad RA might want to take a maintenance dose once a year or every 6 months. I wish I had known that at the time. CMO isn’t a cure, but it is an immunomodulator that will train your immune system to act the way it is supposed to. I encourage all of you to give it a try. You have nothing to lose. Hi, my name is Vicki and I am the one you referred to in the beginning of this. I have taken the LiquidCMO and I am currently taking what is known as a maintenance dose. I am not interested in selling the product although I do work for them now. I am interested in setting the record straight. You are correct that there are hundreds of sites offering a cure or informing you about CMO. The difference is when you take a substance and turn it into a powder or press it into a pill you are losing efficacy. This is where LiquidCMO differs from other CMO products. Since your blog I have traveled across country, gone to Mexico and rode a ski-doo, gone horse back riding and am even working. I chose this job because I believe in the product. As for the flu like symptoms, they are not a “side effect” the flu like symptoms are part of something known as a healing crisis or the Herxheimer Reaction. You can look that up to. Dr. Arneson is a great man. He was encouraging people to try it as he had examined me and others before and after starting the LiquidCMO. He had seen results with his own eyes. The study is done and you are welcome to read the results. You can contact me anytime to chat if you want. I can put you in contact with real people who have recovered from differing illness. Truthfully, I think you have to want to recover before you will see results. Please forgive me! I did not mean to imply that people out there that are not recovering do not want to. I suffered for 15 years before I found this product. Believe me I did not want to hurt everyday or have days where I could not get out of bed. Part of the problem with fibromyalgia is that we are trying so hard to recover that we go to doctor after doctor to seek help. As many of you know and understand, doctors keep pushing pain medicine and other forms of therapy at you. I also heard a lot of “it’s all in your head” What I would like people to know is that you have to keep looking to find what works for you! This product worked for me. For me it was a miracle! I too was put on many pain medicines. I also used the Glucosamine-chondroitin and many other methods to seek relief. There is help! Don’t give up! Please also note that I don’t suffer from RA. We do have a testimony for someone with RA if you would like to view it. It’s on our site and there is also a video.